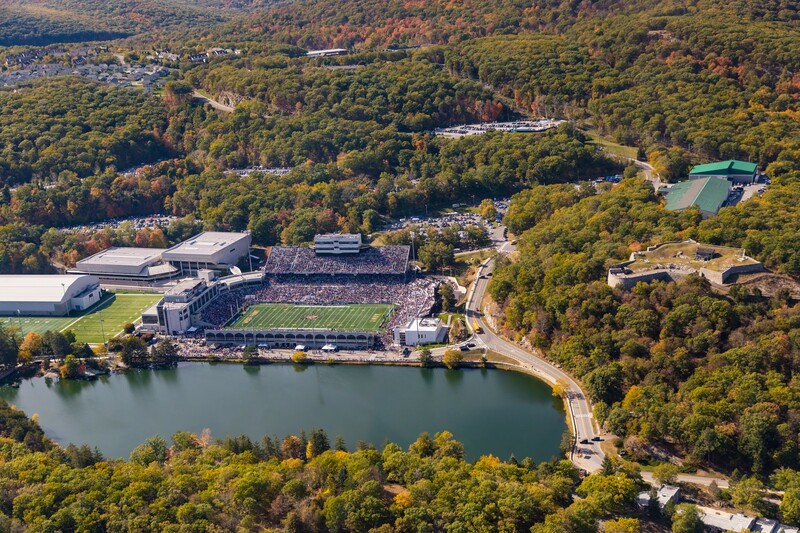 WEST POINT, NY (February 5, 2019) - Tailgate Guys, the nation’s leader in premium tailgate and event services, has announced a partnership with Army West Point Athletics in West Point, New York. The partnership will allow Army West Point fans, and alumni to simplify their game day through a variety of turnkey reserved tailgate package options that include premium locations, tents, chairs, tables, coolers, and other tailgating essentials. Army West Point marks the first service academy partnership for Tailgate Guys. Fans traveling to West Point for games this Fall will have access to a full range of premium pregame tailgate package options with several private, reserved locations to choose from, including: Buffalo Soldier Field, Daly Field, and South Dock. The turnkey tailgate packages that will be available throughout the 2019 home football schedule have capacity to service groups as small as five guests to large scale events of 1,000-plus. Each package will include turnkey setup & breakdown, game day bellhop services, high peak tents, DISH media packages and local catering options with options for customization.